Alexseyevich Yuri Gagarin in 1961 was the first person to go into orbit on Earth. Come on, the first cosmonaut. Of the two sentences are recalled: “Up here there is no God” and “The sky is very dark; the Earth is bluish Everything looks very clearly.”. 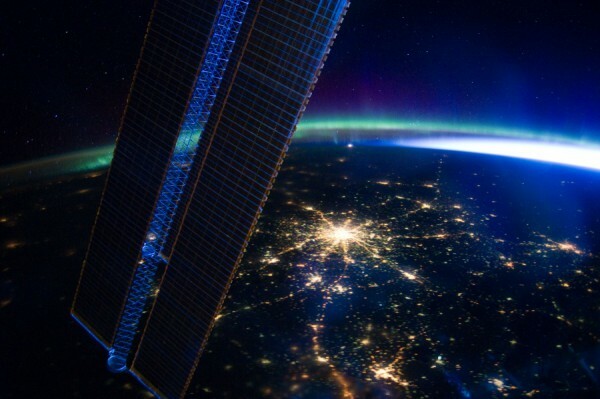 In the picture that I put, Moscow at night illuminated by lights at 250 km altitude from ISS (remember having a low orbit) with an aurora. At bottom, people have no knowledge of where you live and what you have; how much we have to take care and how responsible they are. So astronauts when they return to Earth, usually come with a disease, care about the planet and worry about because they have seen how fragile and beautiful it is from a common perspective.